I’m alive! And I owe it all to this feisty feline. Our dishwasher was a dozen years old, so it was time for a new one. Taking out the old dishwasher was simple. 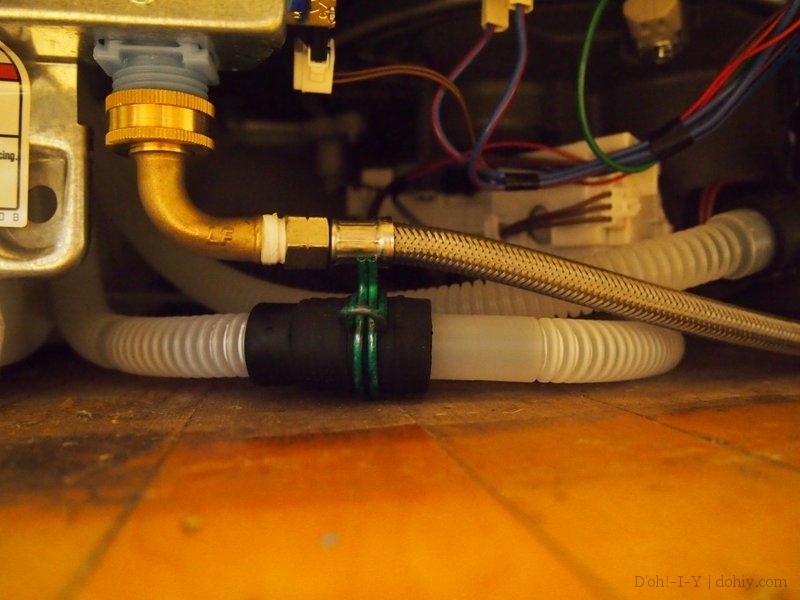 Back when we remodeled the kitchen, I installed an isolation valve on the water line to facilitate dishwasher removal. I was surprised and pleased to find that the valve still worked. 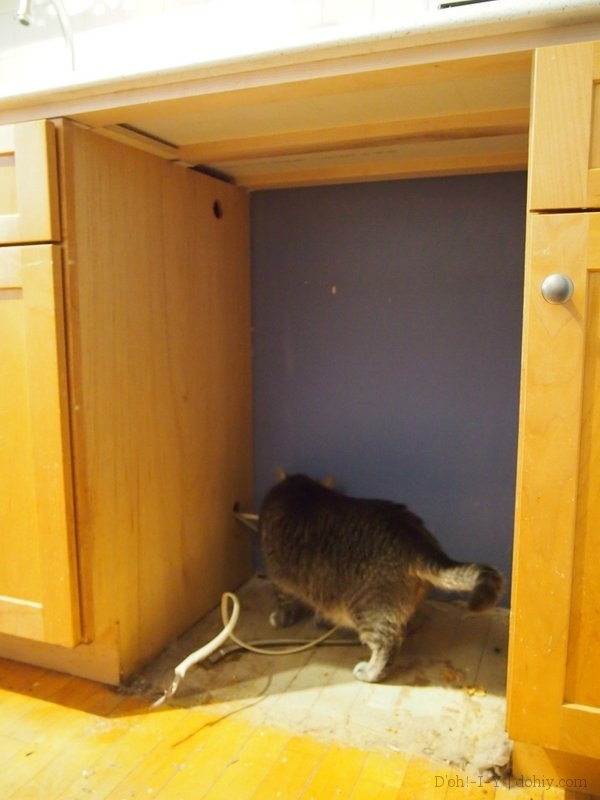 The waste pipe was removed, and then I turned off the electrical supply, which is on a dedicated circuit. Water and electrical supply lines from the cabinet to the left. The upper hole is for the waste pipe. 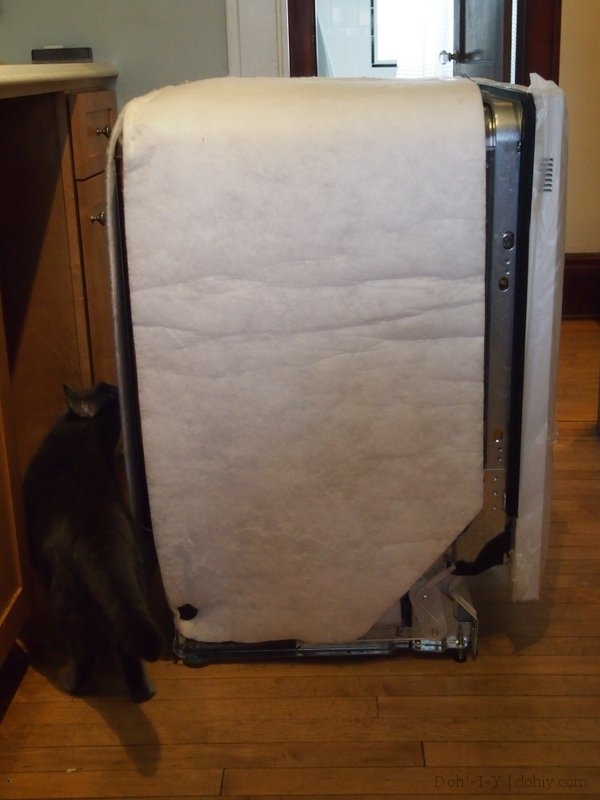 The new dishwasher arrived, and the people who brought it hauled the old one away. New dishwasher undergoing inspection process. So, now all I had to do was install the new one. An easy process, and just the reverse of removing the old one. This new waste pipe is flimsier than the old one, but I’m sure it’s fine. 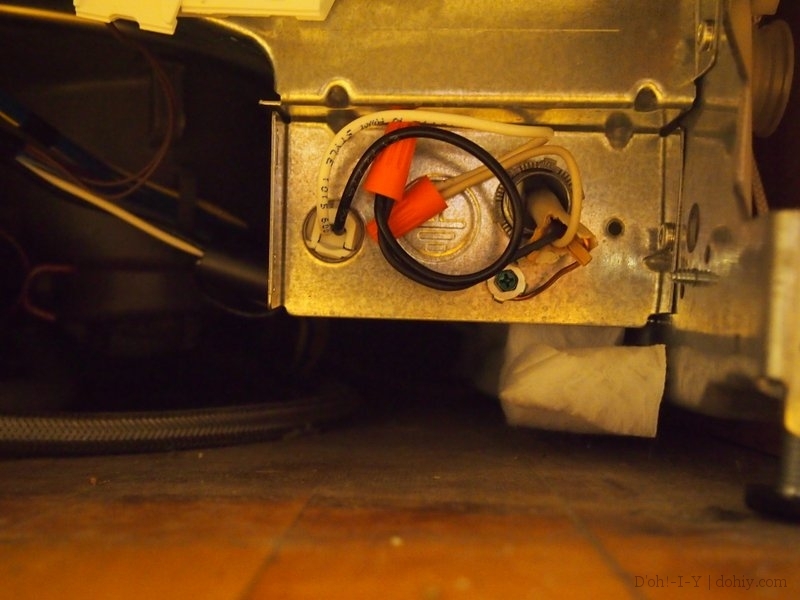 First, I hooked up the water and waste pipes and taped them to the floor next to the electrical wires, so they would be in place after the dishwasher had been pushed into position. 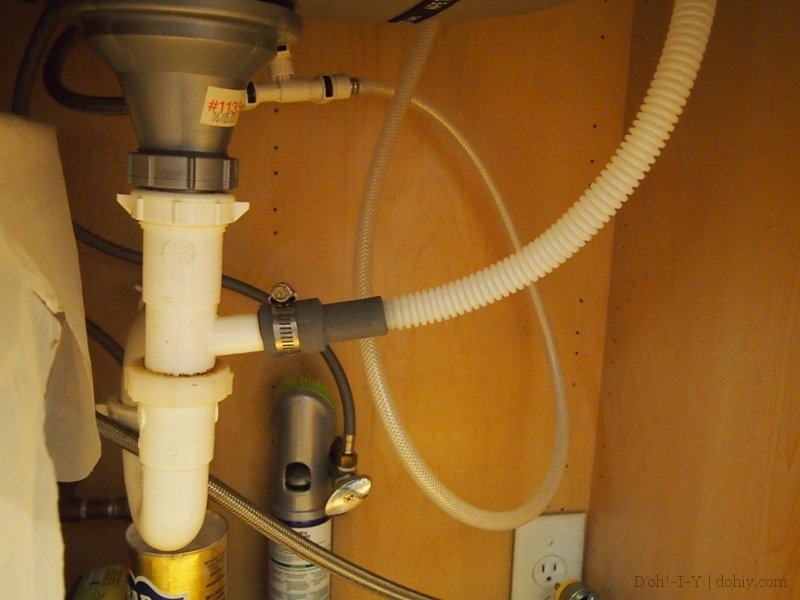 The waste pipe from the dishwasher (the corrugated pipe crossing from the upper right) connects to the sink waste pipe. The electrical outlet at the lower right is on a dedicated circuit. The connections are all done at the bottom of the dishwasher near the front. There’s a removable front panel that is only held on with a couple of screws. Once it’s off, all the connections are easy to get to. The waste pipe connects to a short pipe, and is held in place with a spring clip, and the water supply pipe is connected to the input via a brass elbow. 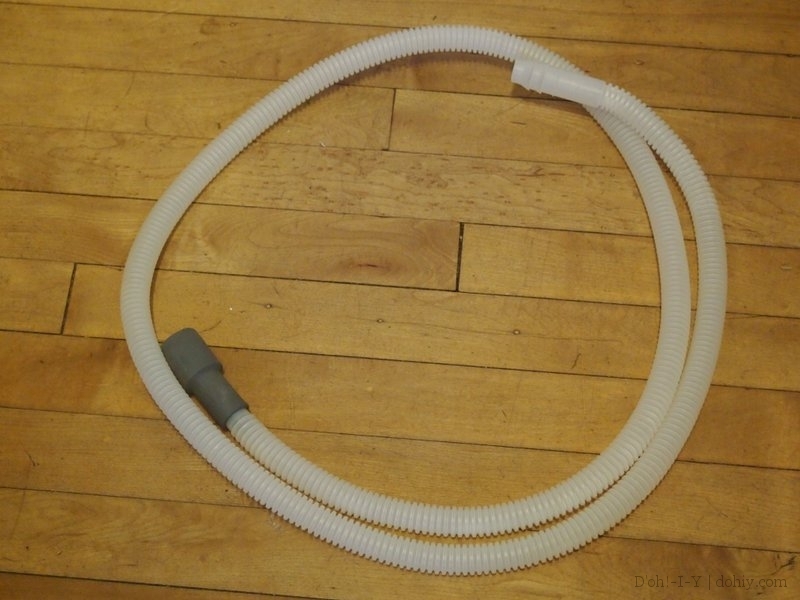 The waste pipe is connected and held in place with the green spring clip. The water supply pipe is above the waste pipe, and connected to the dishwasher by a brass elbow. The electrical supply wires are connected inside a box at the front right. Once it was all connected, I attached the dishwasher to the underside of the countertop with screws. The dishwasher has some loops attached for this purpose. I made sure the front of the dishwasher was flat with the cabinet fronts. Then, I turned on the water supply, restored power to the electrical outlet, and put the front panel back on. 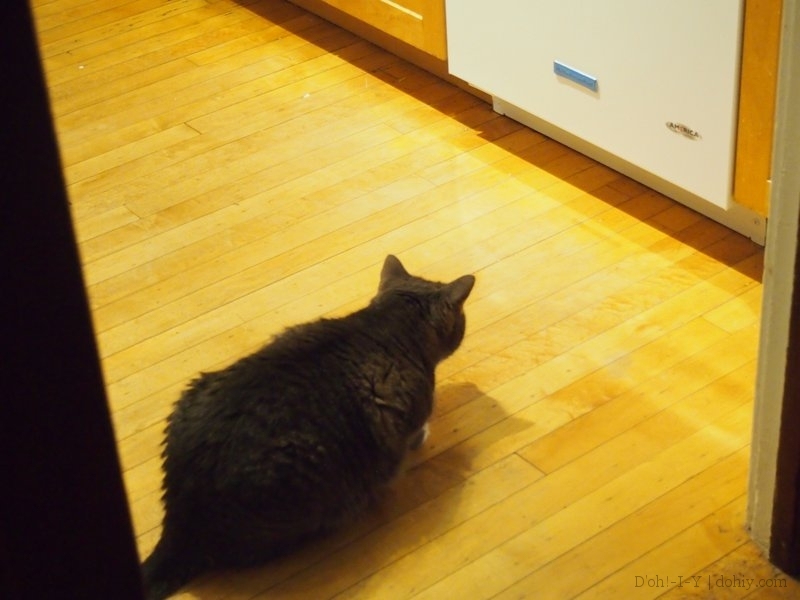 Time for the test run, and it was all fine…except Mayya believes that there is a monster living in our kitchen now, because of some small animal-like noises that come from beneath the very quiet dishwasher. She’s keeping an eye on the situation. This entry was posted in Kitchen, Plumbing and tagged install dishwasher, installing a dishwasher, new dishwasher, replace dishwasher. Bookmark the permalink.